1. Chicago has come to Chicago and it "is simply a solid show." But in this production, the Chicago Theater Addict finds that the two leads "don’t pair well with each other." 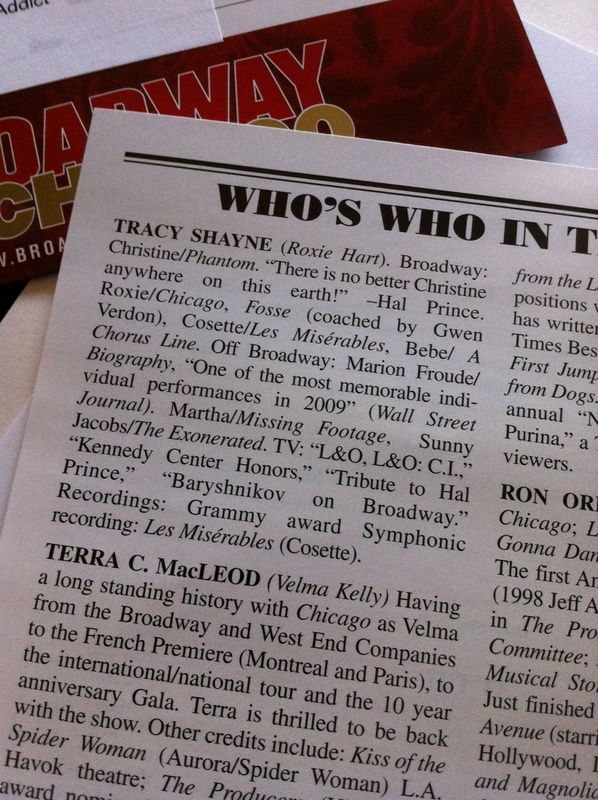 More importantly, he points out that Tracy Shayne (Roxie Hart&apos;s) Playbill bio is a gem. 2. Sketchbook Evolution is still going on at Collaboraction, but the Reader&apos;s Kerry Reid was less than impressed, arguing that the pieces "tend to stick close to the fest&apos;s focus on teasing out links between human emotions and technological advancements. And that may be the problem. Their fidelity to the announced theme reduces the chances for creative mutation." She did enjoy Suspect Politic, a piece about black feminism, and wrote "Amid a placid pool filled mostly with inoffensive offerings swimming in circles, Suspect Politic is the fish that&apos;s taking a walk up the bank." 3. Seth Meyers might be performing at Just for Laughs, but you can also catch him at Q with Jian Ghomeshi at the Victory Gardens Theater on June 16 at 7. It&apos;s the first Radio Q live performance, and it&apos;s co-produced by WBEZ, so if you miss it in person, listen in live. 4. Halcyon&apos;s Alcyone Festival opens tomorrow with only work by women playwrights. Five individuals were given classic plays (also by women) to "remix"; expect to see "Botoxed hipsters, invented savages, missing nuns, loves treason and Harriet Tubman." Detailed explainations of each production can be found here; otherwise, go and be surprised. 5. Ronnie and Lonnie&apos;s Variety Stampede closes this Saturday at the Annoyance. Relive your youth with this twisted version of variety shows of the 70s.